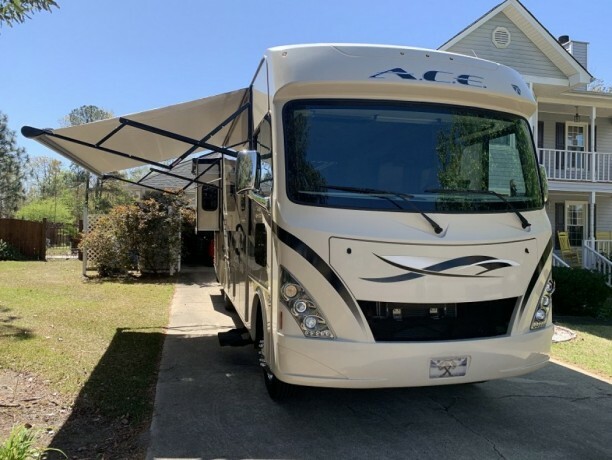 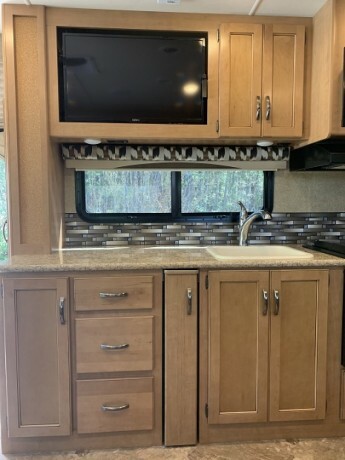 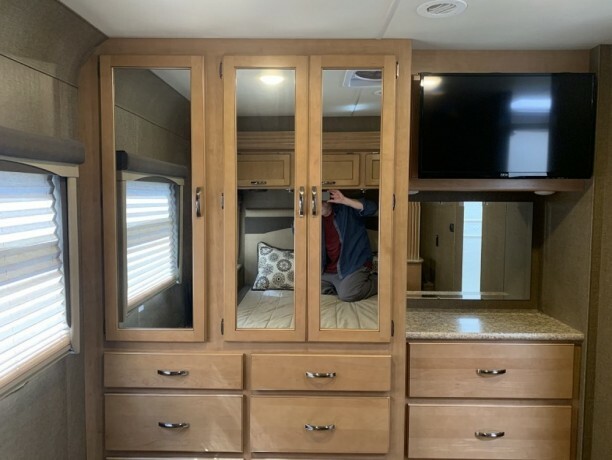 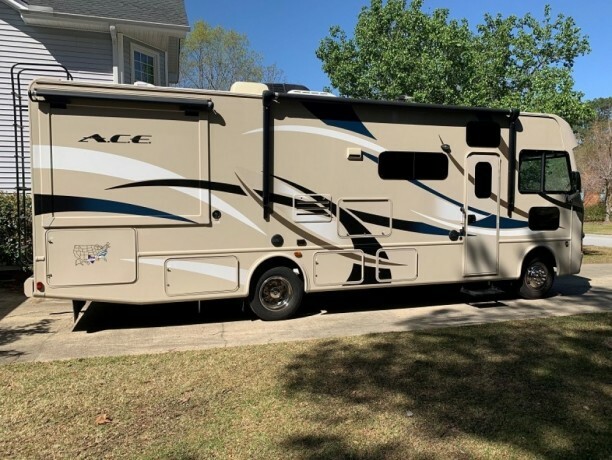 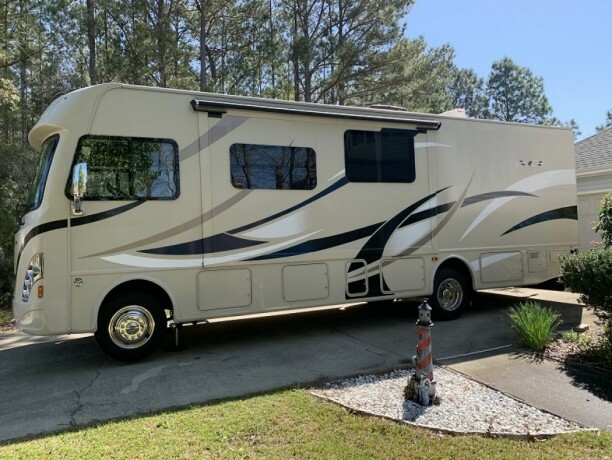 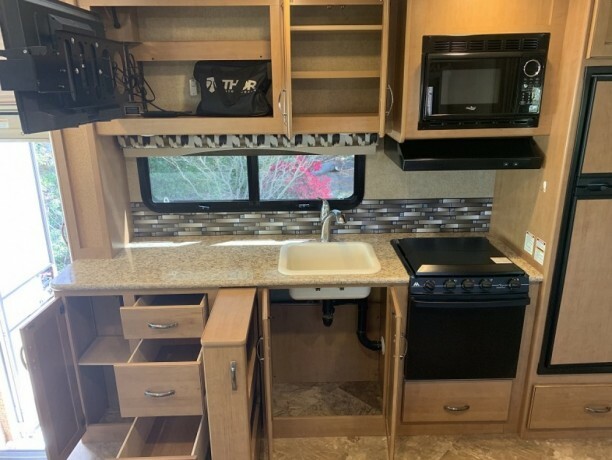 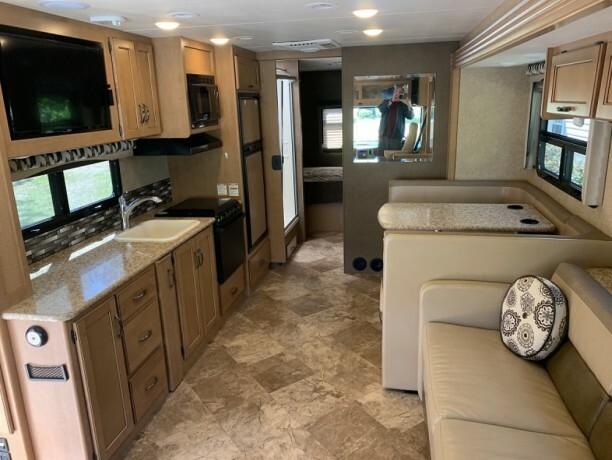 2016 Thor ACE E.V.O 30.1, 3 Burner Stove, Oven, Microwave, Booth Dinette, Double Door Refrigerator, Rear Queen Bed, Split Bath W/Shower, Ford F 53 Chassis, 6.8L Triton V10 Engine, 6 Speed Automatic Transmission with Overdrive, 8K Trailer Hitch with 7 Pin Round Connector, 4KW Generator, Automatic Leveling Jacks, 3 Attic Vents with 12 volt fan, Ducted AC, Furnace 35000 BTU, Rear Vision Camera, Heated/Remote Exterior Mirrors with Integrated Side View Cameras, Cruise Control, Bunk Over Cab, Tilt Steering Wheel, Outside Shower, 14 Electric Patio Awning with LED Lighting, RVIA Seal, Fiberglass Exterior, AM/FM/CD Stereo, 3 Flat Screen TV s Bedroom, Living Space and Exterior , Water Heater W/DSI Gas/Elect., Black Tank Flush, Skylight above Shower, Jackknife Sofa, Reclining/Swivel Leatherette Captains Chairs with stow away Coffee Table in Between, 2 Slide Outs, Enclosed and Heated Holding Tanks. 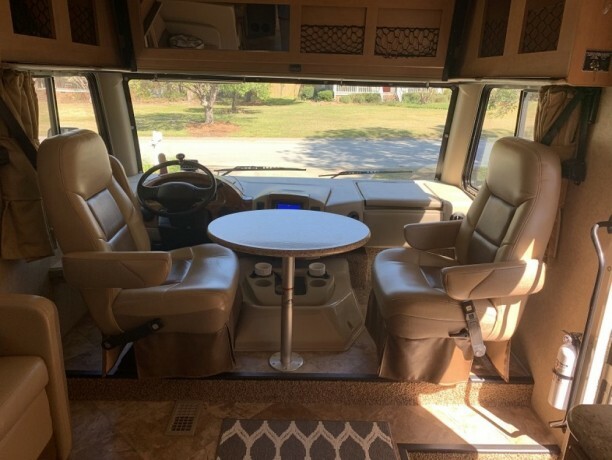 Upgrades Include; MaxxAir Vent Covers over Fans In Bedroom, Living Area and Bathroom, Oxygenics Body Spa RV Shower Kit, Safe T Plus Steering Stabilizer, Extended Stay Propane Adapter, Tornado Black Tank Flush, Fumoto Oil Drain Valve, Magne Shades Windshield, Drivers and Passenger Window , Ultra Guard 16 Mud Flap, SuperSteer Rear Trac Bar, Electronic Thermostat, 5 Star Tuning, Snap Pads, Progressive Industries EMS PT30X Surge Protector. 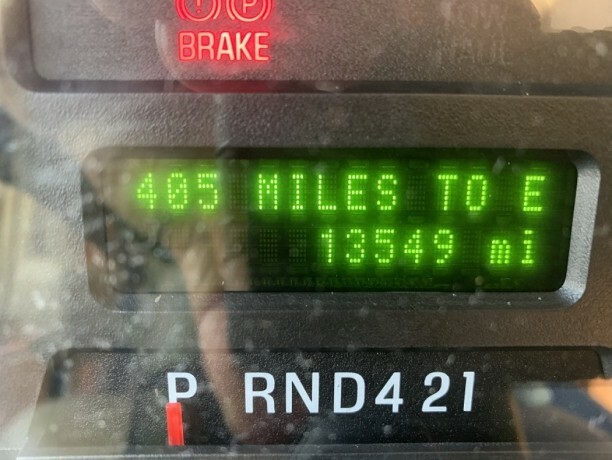 Over 3100 Value.